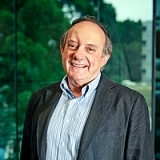 Martin Krygier is Gordon Samuels Professor of Law and Social Theory at the University of New South Wales, co-director of its Network for Interdisciplinary Studies of Law, Adjunct Professor at the Regulatory Institutions Network, Australian National University, and a Fellow of the Australian Academy of Social Sciences. His most recent book is Philip Selznick. Ideals in the World, (Stanford U P 2012). He has written extensively on the rule of law: its nature, conditions, and challenges. Apart from some 40 essays on these themes, he has edited and contributed to Spreading Democracy and the Rule of Law? (Springer Verlag, 2006); Rethinking the Rule of Law after Communism (CEU Press, 2005); Community and Legality: the Intellectual Legacy of Philip Selznick (Rowman & Littlefield), 2002), The Rule of Law after Communism (Ashgate, 1999), Marxism and Communism. Posthumous Reflections on Politics, Society, and Law (Rodopi, 1994). He also has published a collection of public writings, Civil Passions (Black Inc, 2005) and a book of his radio lectures for the Australian Broadcasting Commission, Between Fear and Hope. Hybrid Thoughts on Public Values (ABC Books, 1997).